Will the real tiger survive until the next year of the tiger in 2022? The Year of the Tiger has begun. Across China, tiger merchandise is the rage. In India, celebrities are throwing their weight behind calls to save the real tiger. A flurry of conservation meetings has taken place, Internet groups have sprung up, and the media this past week has been full of tigers. There is an all-around glow of good intentions--and it is welcome, because the life of wild tigers hangs by a slender thread. Sadly, there are still many Chinese who would rather eat bits and pieces of a tiger than save the great cat in the wild. There are still many people the world over, who would like a tiger skin. And there are still many Indians who do not see why it is necessary to save them. India, home to around 1,400 which is roughly one-third of the world's last wild tigers, recorded 66 tiger deaths in 2009 - of which 23 had been killed by poachers. In the Chinese system, animals come with elements; this is the year of the metal Tiger. But the real tiger of flesh and blood and tooth and claw is a fragile one and very, very mortal. Estimates put the number of tigers in the wild across 13 Asian countries at around 3200--down from 5000-7000 in the last Year of the Tiger (1998). Many are in small populations in remnant patches of habitat, constantly under threat and short of prey. 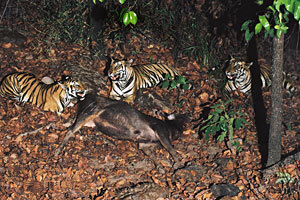 Poachers kill not only the tigers for their bones, organs and skin, but also their prey--deer and wild boar--for meat. Small populations are also genetically vulnerable. If a small population loses its male tigers for instance, it is doomed.In one Indian tiger reserve the opposite happened--the last male tiger ran out of mates. 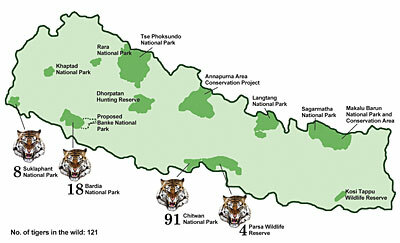 There are only a few areas left which, if protected and ideally also restored, could support more tigers. These include Thailand's 17,870 sq km (11,103 sq miles) western forest complex, overlapping with Burma's Tenasserim region. 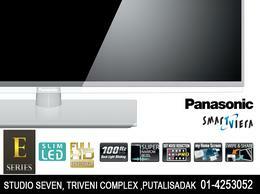 Another is northern India's Terai Arc landscape, shared with Nepal. 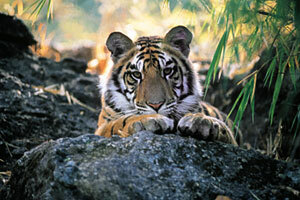 Historically the Tarai region has been the most productive breeding ground for tigers. But that is history. Both the Indo-Nepal and Thai-Burma landscapes have habitat breaks which need to be restored to link sub-populations. The most basic requirement remains that of protecting the tigers. On the demand side, China's role is critical. Even though some traditional Chinese medicine practitioners have dropped tiger parts from their menu of options, and powerful role models like martial arts film star Jackie Chan are crusading for change, there is still demand despite studies showing tiger bones and organs are no different to those of dogs, pigs and goats. Wild tigers regularly turn up in Thailand sawn in half and stuffed into the boots of cars carrying them up the Malay peninsula to China. 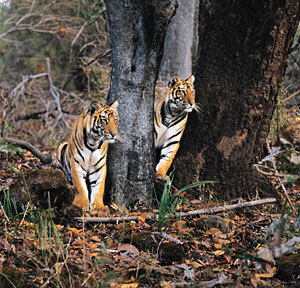 Once chopped up and passed up the line, the sum of a tiger's parts can fetch up to US$ 70,000. China, backed by owners of tiger farms with over 6,000 of the big cats in stock alive or dead in deep freezes, has been trying to get the Convention on International Trade in Endangered Species (CITES) to agree to opening up the market in China for the farmed tigers. A proposition to this effect is reportedly ready for the next Conference of the Parties of CITES in Doha in April. The farms claim that opening up the trade will flood the market with tiger parts, lowering prices and removing the incentive for poaching wild tigers. But it costs anywhere between US$1000 and US$ 4000 a year to rear a tiger in captivity, and less than US$25 to have one killed in the wild, with a bullet or a simple snare made of cable or wire. Everywhere in the world, and in every commodity and product, traders and smugglers exploit the smallest price differentials. Consumers will also prefer wild tigers to farmed cats, creating a black market that beefs up the profit from taking a tiger from the wild. Those who advocate this Faustian solution, also clearly fail to notice that last year's recession destroyed the fond myth that the free market is its own best regulator. Supplying a product spurs demand, it does not limit or suppress it. Ministers and officials from 13 Asian tiger range countries ended a meeting last month in Hua Hin, Thailand, with a pledge to double the number of tigers in the wild by 2022, the next Year of the Tiger. The meeting included experts from organizations like the World Wide Fund for Nature (WWF) and the World Bank. 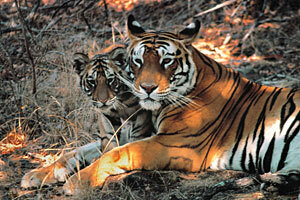 Studies in India and Thailand, do suggest it is possible to double the population of tigers in more viable landscapes. The challenge is to turn this theoretical possibility into reality. In some areas, broken habitat links will have to be restored and local people resettled. This can succeed only with proper public consultation and attractive resettlement deals. Locals must not be abruptly severed from their natural resource base. Local support is essential if the tiger is to be saved. But the declaration in reality carried little official weight. The WWF and the World Bank which thanks to its president Robert Zoellick is a recent convert to tiger conservation, say it can be built upon at a 'tiger summit' in Vladivostok in September, which will be chaired by Zoellick and Russian Premier Vladimir Putin. But not everything went smoothly at Hua Hin. From the 13 tiger range countries there were only four full ministers present; others were deputy ministers or senior officials. A World Bank statement saying China's tiger farms should be shut down reportedly irritated some Chinese delegates. In a video message at Hua Hin, Zoellick pledged the World Bank's support. But India was cold to the World Bank, sending a junior official. The World Bank saving tigers is a hard sell in India, where its track record shows wildlife habitat has always been ''acceptable collateral damage'' in the words of Mumbai-based conservationist Bittu Sahgal, editor of Sanctuary magazine. At one discussion in Hua Hin a delegate asked the World Bank whether, and why, loans still came with conditions. ''The World Bank had no answer'' said a source who was at the discussion. But the World Bank has indeed raised the tiger a notch on the international agenda, and Hua Hin did produce some commitments from Thailand to step up protection. Separately last month, India said it would release 10 billion rupees (over US$ 200 million) to relocate communities from tiger habitats. It has long been obvious that human encroachment in various forms on habitat has contributed to the tiger's decline, and human communities and tigers do not happily co-exist. Eventually, whatever the number of meetings and Facebook groups, it is up to tiger range countries to save their own tigers. And better enforcement is the most basic and vital condition for saving tigers, both in China and in tiger habitats. In recent years tigers have completely disappeared from at least two tiger reserves in India, and may be on the way out in about half a dozen more. The loss of the tigers was a wake-up call, but the alarm has been put on snooze. Tigers attract vast numbers of international tourists, and create a powerful incentive to protect their habitats, both to protect biodiversity and water security. 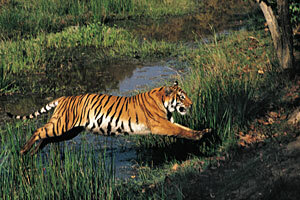 In India some 300 streams and rivers, are fed by tiger habitat catchment forests. Yet going by the half-hearted and sporadic protection and enforcement measures on the ground, the tiger is grossly undervalued. For thousands of years across Asia, the resonating call of the tiger in trackless tropical jungles has inspired fear and fascination, art and literature, folklore and legend. But the vast jungles are now fragments, many of them oddly silent. Whether the tiger's call in the wild will still be heard 12 years from now, or if today's children will grow up to see the great cats only in cages, can be decided only by local protection and enforcement in its last few viable habitats. A version of this article appeared in print on 19, February 2010, issue #490. Nirmal Ghosh is a conservationist and senior foreign correspondent for The Straits Times. He is also a Trustee of conservation NGO The Corbett Foundation. The Nepal conflict ironically was good for wildlife since few ventured into the jungles, but the post-war security vacuume and rise of criminality has been lethal for Nepal's biodviersity. The tigers cannot be saved (let alone doubled) unless Nepal is first better governed with accountable, far-sighted leaders. If we continue with the current crooks, it's not just the tigers, we're all doomed. The year of metal Tiger can be turned into the year of Tiger mentality for Tiger protection, if the WWF could roar it like a TIGER!, World wild life foundation tried to educate how and why through many channels, and many countries understands these importance on protecting endangered wild lives. But in China, it felt on the deaf ear of arrogant and stubborn autocrat regime of CCP! Here is the true story: It was in year 2004 in Amravati during kalchakra puja there, His Holiness the Dalai lama send a strong message for the Tibetans in Tibet not use the skins of Tiger, leopard and Otters just for the sake of show of pride in their dresses, he said it is silly of such fashion, which brings more harm to the endangered wild species and most importantly it is against the Buddhist norms, which causes the lives of these poor animals. His Holiness advised, instead, it would be wise to spend more on educating youngsters. A month after his strong messages, the Tibetans in Tibet took the bold step forward, they put on fire their most valued dresses made with the skin's of Tiger, leopard, fox, and otter skins, all over three provinces of Tibet, people voluntarily burned the skins worth millions of dollars, and the faithful Tibetans promised not to use the skins of endangered wild animals anymore. Knowing of these great actions to save wild life, the Chinese regime in Tibet politicized the issue and arrested those who pioneered the action to burn the skins, the reason is because the message came from Dalai Lama, and the regime came to know that Tibetans are still very obedient and very much faithful to their beloved leader His Holiness the Dalai Lama. And than opposite happnes at present in Tibet, the Chinese regime is provoking and forcing the Tibetans to use skins of endangered species as a show of pride and propaganda, however, there are very few who uses them at present. As a result, a black market for the skin slumped down, but the Chinese marked for Tiger and leopard bone stood still, it is because of the Chinese blind medicinal belief and above that the Communist regime there don't care about protecting endangered species, and the illegal trade goes on in whole of South Asia, because of big Chinese market, which is posing this grave danger on our endangered wild lives! In peoples republic of China, nothing is more serious than the threat to the power of Chinese Communist Party! Rest can be handled from the many back doors in Commies way! except the political matters!